At East of England Championship Show (10th June 2015) Tzin Tzin added to his Swedish, Italian and International Champion titles by gaining his 3rd UK Challenge Certificate. 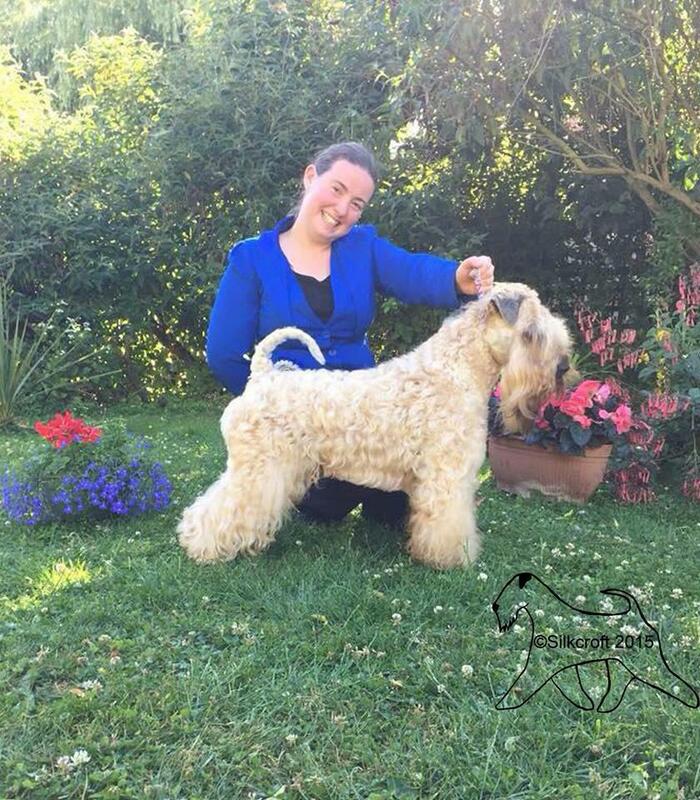 Subject to confirmation by the Kennel Club, this makes Tzin Tzin the 1st Russian bred Soft-Coated Wheaten Terrier to become a UK Champion. 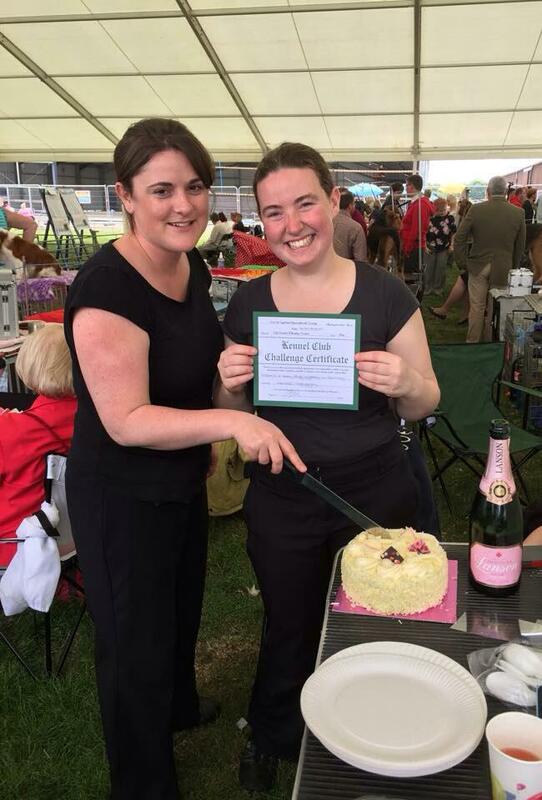 Well done to all of Team Silkcroft – especially Sarah & Cheryl (below)! !